The Datalogic PowerScan PD8300 readers’ ergonomic enclosures are lightweight and well-balanced ensuring optimal operator comfort during scan intensive operations. Multiple good-read feedback features and a built-in metal tether hook for suspended applications ensure workplace productivity. The PowerScan PD8300 readers’ superior reading performance is enhanced by Datalogic’s patented Puzzle Solver technology for fast and accurate reading of standard, poorly printed and damaged barcodes. Even in the harshest working environments, you can depend on the PowerScan™ LR & XLR to keep on working. Designed to meet the most stringent drop specification in the industry, the scanner will withstand multiple 6.5’ / 2 m drops to concrete. 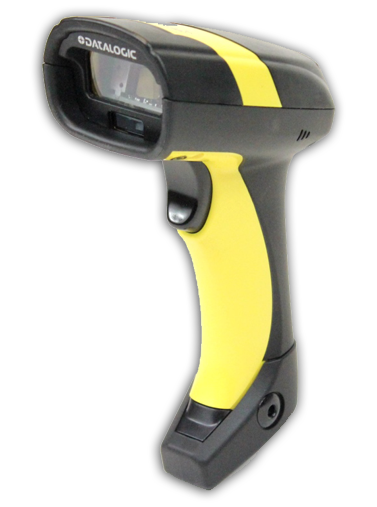 The PowerScan scanner has a sealing rating of IP54 which means it can withstand intermittent rain showers and keep on working. PowerScan also operates over a wide temperature range, from -22° F / -30° C to 122° F / 50° C.